We are sharply indulged in the offering of Electrical Control Panel Service service in the market. These panel building services are best in the market and easier to use. Moreover to this, these presented services are reliable and highly favored by the experts in specific way. 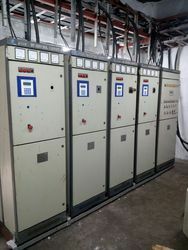 We specialize in range of Power and Control Panels with for all kind of industries. We have professionally managed team to meet most stringent quality standard to our client’s requirements. PMCons provides the client with complete Control Panel Services. 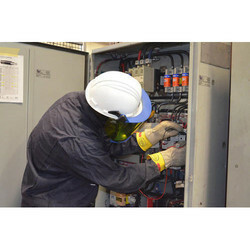 Our services include engineering, integration, wiring and testing of control panels. Our research and development team is continuously making efforts to improve the quality of our products. We have some of the latest technology machinery in our Company. As an affluent name of this domain, we hold expertise in providing high quality Control Panel Commissioning Service (Also providing Auto system, Pressure Testing and imparting). We are Exprienced Service Provider for Spares and Service of Low Voltage and Medium Voltage Switchgear and Spares.